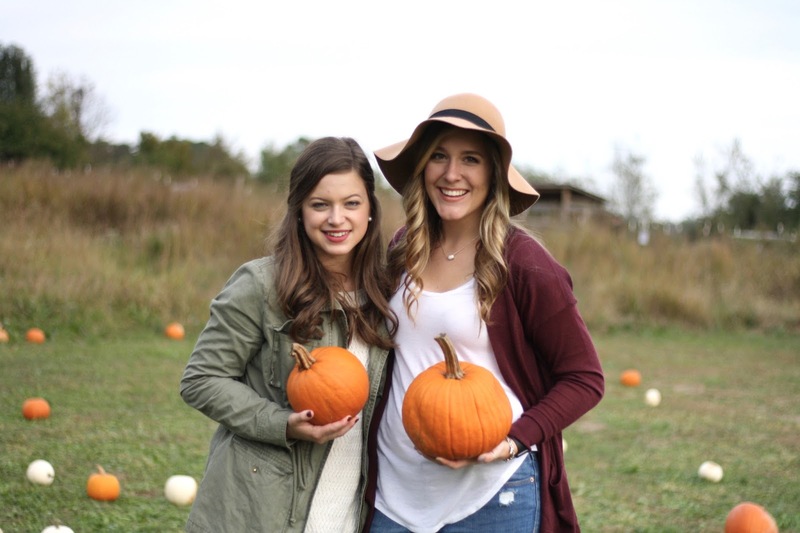 Last weekend I ventured to a pumpkin patch about 20 minutes from Furman with some friends for an impromptu photo shoot. 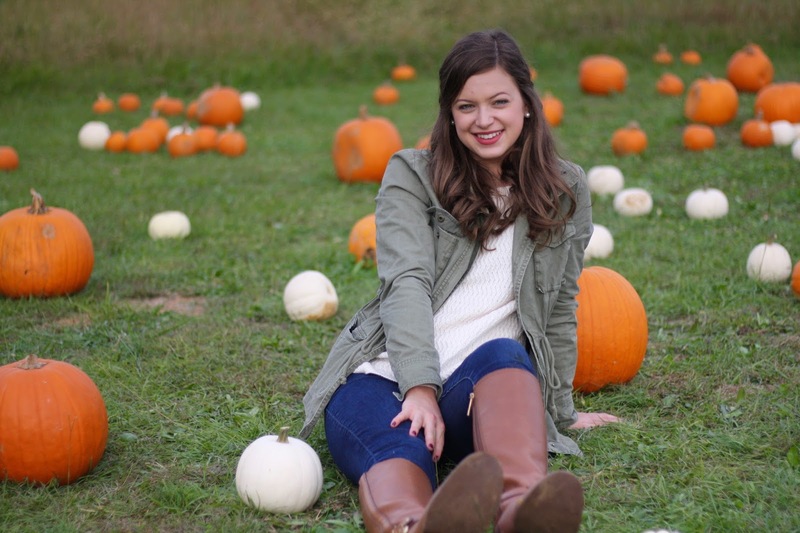 I was in desperate need of fall photos (and still am- college does not leave a lot of time for blog photo shoots!) but I wanted to bring a pumpkin patch post since that was one of my first posts on my blog Instagram last year. 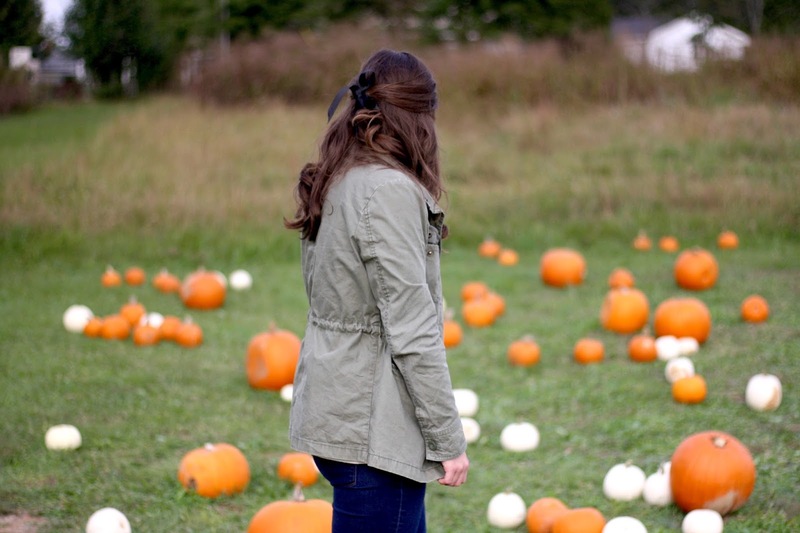 I love going to pumpkin patches because it always puts me in the fall feels. Being in college has made it difficult to feel festive and fall-ish, especially when the weather is never quite "fall enough" for me. 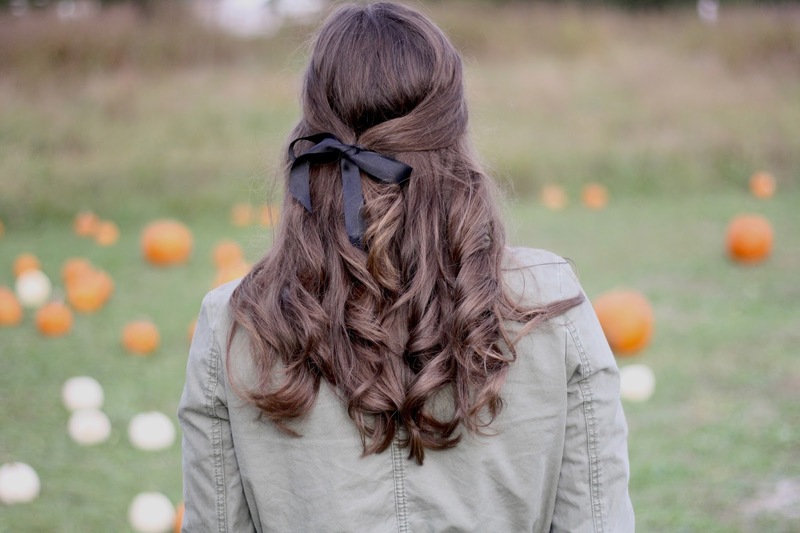 While this outfit is simple, it's one that I like to wear for anything outdoors in the fall. Layering a light weight sweater with an army jacket is my secret for warm, but still breathable layers. When the mornings are 30-40 degrees and the afternoons are in the 70s, light layers like these will keep you warm in the morning but are removable for the heat later in the day. Definitely important to utilize while walking to and from class. 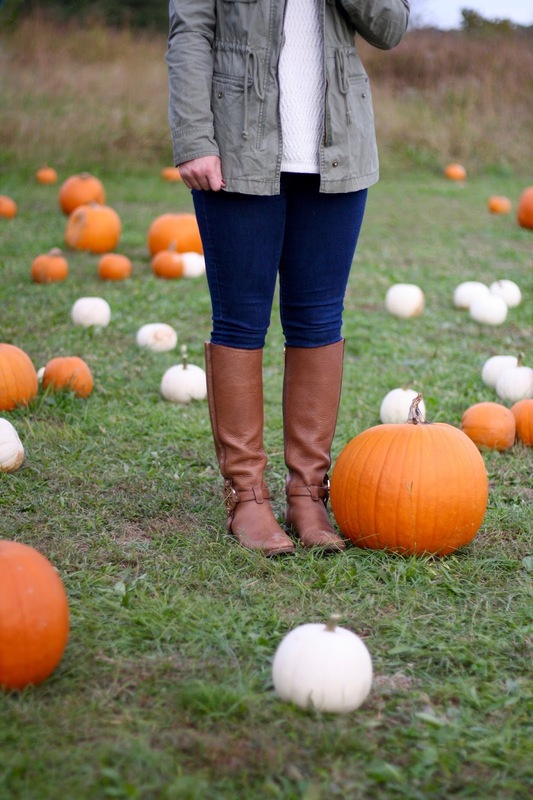 And as every girl knows, a fall outfit is incomplete without riding boots. I got these Tory Burch boots off poshmark this summer because I've been dying for a pair of these. This pumpkin patch also had llamas- how cute! Hope you all enjoyed a glimpse into my day! What is that one fall activity you have to do each fall or else your fall will not be the same? 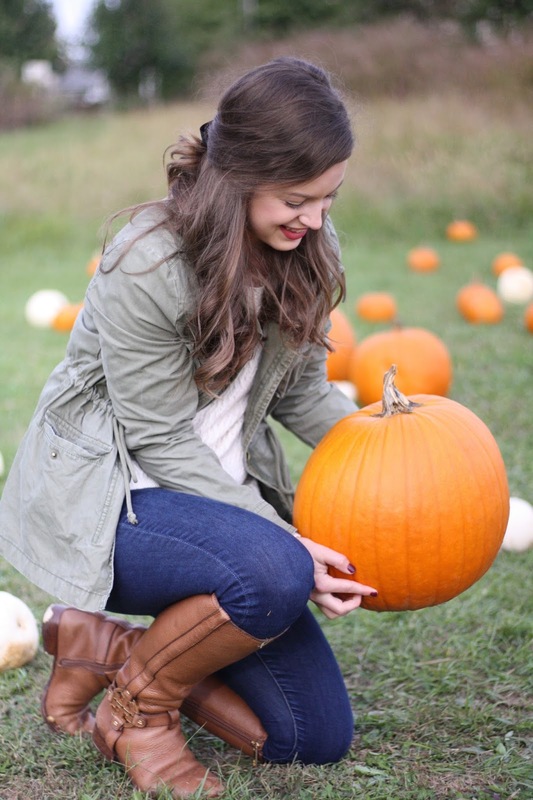 I have so many, and going to the pumpkin patch is definitely one of them! I love your jacket. I've been looking for one like it for a while. Thank you! I got this one several years ago but I linked a very similar one from the same store!